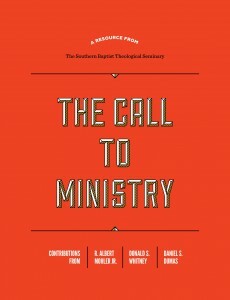 Has God called you to ministry? Though all Christians are called to serve the cause of Christ, God calls certain persons to serve the Church as pastors and other ministers. Writing to young Timothy, the Apostle Paul confirmed that if a man aspires to be a pastor, “it is a fine work he aspires to do.” (1 Timothy 3:1, NASB) Likewise, it is a high honor to be called of God into the ministry of the Church. How do you know if God is calling you? First, there is an inward call. Through his Spirit, God speaks to those persons he has called to serve as pastors and ministers of his Church. The great Reformer Martin Luther described this inward call as “God’s voice heard by faith.” Those whom God has called know this call by a sense of leading, purpose and growing commitment. This sense of compulsion should prompt the believer to consider whether God may be calling him to the ministry. Has God gifted you with the fervent desire to preach? Has he equipped you with the gifts necessary for ministry? Do you love God’s Word and feel called to teach? Spurgeon warned those who sought his counsel not to preach if they could help it. “But,” Spurgeon continued, “if he cannot help it, and he must preach or die, then he is the man.” That sense of urgent commission is one of the central marks of an authentic call.Charles Spurgeon identified the first sign of God’s call to the ministry as “an intense, all-absorbing desire for the work.” Those called by God sense a growing compulsion to preach and teach the Word, and to minister to the people of God. God still calls. . . has he called you? If you’re called to ministry, then you are called to prepare. Southern Seminary is committed to offering an exceptional, Christ-centered education while honoring your family, professional and financial commitments. Whether you are pursuing an on-campus Master of Divinity or taking one of our online courses to begin your journey, Southern Seminary has a program to equip you for more faithful service.